Yes, yes, yes! 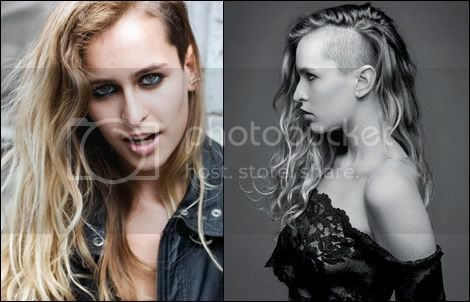 One of my favorite IT-girls ever, Alice Dellal, will be the new face of the Boy Chanel handbag collection. I literally can not wait to see the results of the campaign starring the tattooed and pierced Brazilian model, which is expected to launch in March next year. As a sign of 'confirmation', a sneak peek appeared on the Internet, showing Alice Dellal being photographed by Karl Lagerfeld. Dellal, former model for Mango and Agent Provocateur, is seen in a girly ensemble, which is a nice change from her leather, ripped tights and spiked filled outfits. 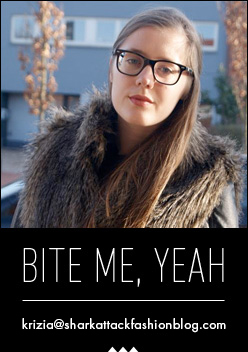 Alice, who has Charlotte Casiraghi from Monaco as her sister-in-law (how cool is that? ), was my inspiration to shave a part of my hair. You can see the result here. I love how Chanel always manages to find a balance in being young and edgy, but still classy. What do you think of Lagerfeld's choice? P.S. : I'd like to thank one of my favorite stores, the SN3, for personally tweeting me the news on Twitter. So sweet! if a person has a really pretty face and wants to have something special, i would try it. really? On twitter! That is great! I love Alice also, she is strong, dark, punk but also with elegance and do like this kind of people. So happy to see this collaboration. Cute.. We love these photos! Love Carl too! great post! looks like it should be a great but can't wait to see the photos to see for real. I love her hair! so stunning! Such exciting news. I also can't wait to see the campaign! She is also one of my fav models/it girls! So from her you got your inspiration to shave your hear on one side :) Cooool!